Location: Room 105, Claxton Building, 1122 Volunteer Blvd. Abstract: Biological invasion can be generically defined as the uncontrolled spread and proliferation of species to areas outside of their native range, hence called alien, usually following their unintentional introduction by humans. A conventional view of the alien species spatial spread is that it occurs via the propagation of a travelling "population front." In a realistic 2D system, such a front normally separates the invaded area behind the front from the uninvaded areas in front of the front. There is, however, an alternative scenario called "patchy invasion" where the spread takes place via the spatial dynamics of separate patches of high population density with a very low density between them, and a continuous population front does not exist at any time. Patchy invasion has often been observed in nature (perhaps the most well-known case is the gypsy moth spread), and it has been studied theoretically in much detail using diffusion-reaction models. However, diffusion-reaction models have many limitations; in particular, they almost completely ignore the so-called long distance dispersal (usually associated with the movement pattern known as Levy flights). Correspondingly, I will then present some recent results showing that patchy invasion can occur as well when long distance dispersal is taken into account. In this case, the system is described by integral-difference equations with fat-tailed dispersal kernels. I will also show that apparently minor details of kernel parametrization may have a relatively strong effect on the rate of species spread. I will complete my talk with a discussion of the implications of patchy invasion and remaining challenges in its understanding, with a special focus on possible evolutionary strategies that may result in the patchy spread. Sergei Petrovskii is a mathematician with thirty years of experience in modeling of natural phenomena. 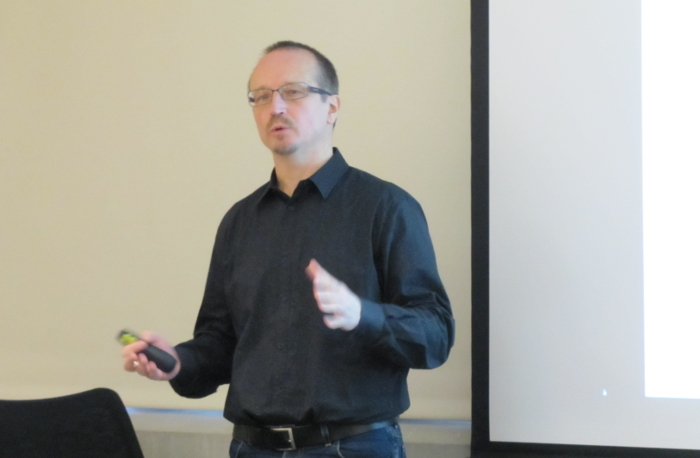 For the last 25 years Petrovskii's research has been focused on nonlinear dynamics, dynamical systems' application to ecology and ecological complexity. 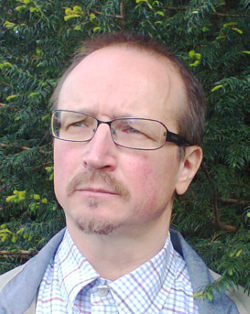 Petrovskii has published three books and 100+ papers in peer-reviewed journals. He has co-managed several research projects supported by various national and international foundations. He is the Editor-in-Chief of Ecological Complexity, and has been a (co)organizer and/or invited speaker at about twenty international conferences.